A Statue tells a story… but what? 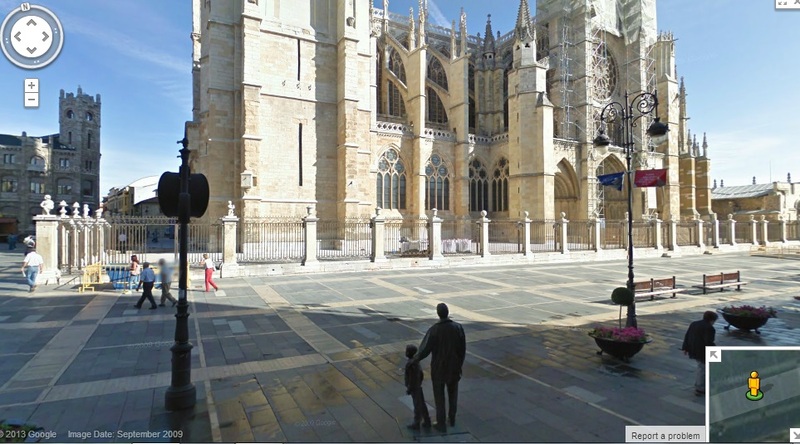 Yesterday I put on a photo of a statue- a man and a boy in front of the Cathedral in Léon. But where does it stand, and what does it mean, I asked. I have this overwhelming curiosity in life. When I think up a question, I just have to have the answer! And I still can not find anything on this statue on the Internet in English- maybe Spanish readers or citizens of Léon would be able to help. What is the purpose or meaning of this statue? The adress is 7 Plaza Regia, just next to the Cathedral. It is in front of the Seminar San Frollan. I sincerely hope it is not about the Church dragging boys into the priesthood! If it is about education, why are they looking away from each other? Is it depicting the generation gap? I am now really intrigued by these questions and hope somebody from Spain/ Léon or a Pilgrim will go find the answer for us? Meanwhile- have you ever came across a statue that intrigues you? 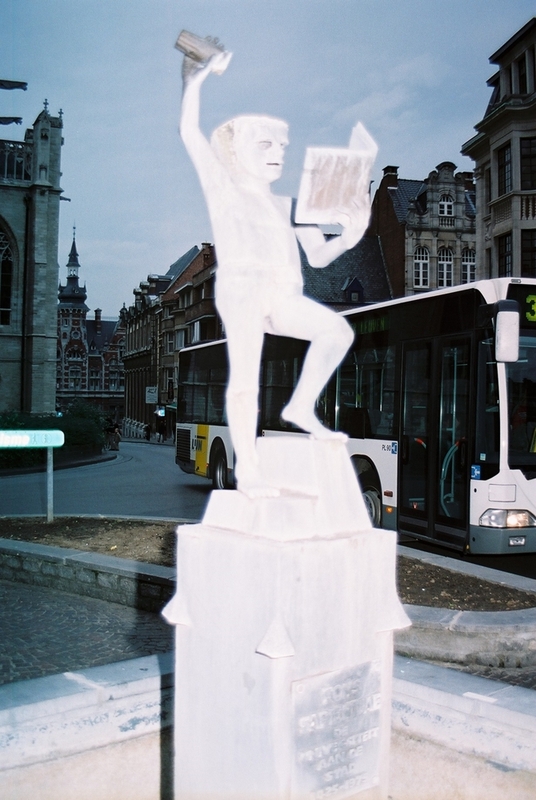 A while back I posted on Belgium, and this one statue still makes me smile. All my travelling friends- you must have seen some statues that tells a story. And some statues that foreigners just can’t understand. Share a little about that? This entry was tagged CAmino de Santiago, Léon, Leuven, Statues, Student life, Travel. Bookmark the permalink. Thanks for stopping by my blog. I enjoyed yours as well. My buddy and I are on our Harleys now on route 66. Ride safe! It sounds like I am always travelling! I am nearly always working, but take a lot of photos when I am out of my house. 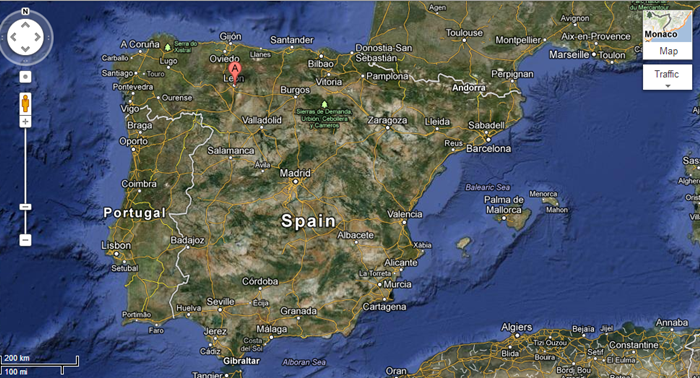 And sometimes, dreams like the Camino come true. I have this small fund that I top up with the money I get for weddings, and any loose change- it goes into my Bucket LIst fund. I am also blessed in that some of my journeys was Church and Mission related- and so I could see Belgium and Turkey… Then both me and my wife have sisters abroad, one in England, one in Ireland. And so we need to visit them sometimes as well. Nou ja Rider, ek is nét so nuuskierig en het bietjie gaan rondkrap en op bogenoemde afgekom. 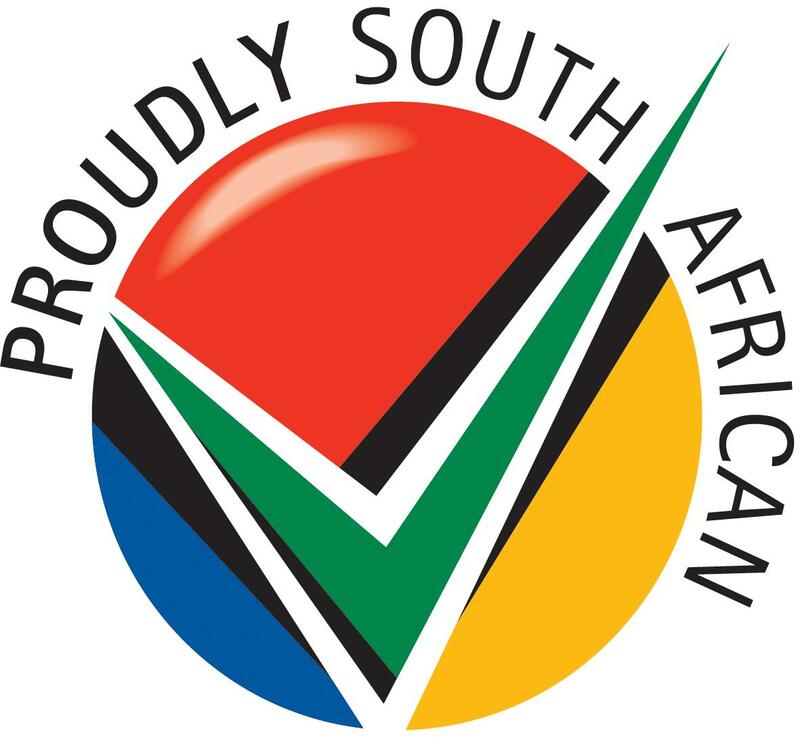 Miskien as jy nou die beeldhouer se naam verder gaan “google” gaan jy dalk op meer inligting afkom. Baie dankie Thea! Jy is ‘n beter navorser as ekke! Ek waardeer dit baie! I have seen that same statue in Léon, but it didn’t spark the curiosity in me as it did in you. 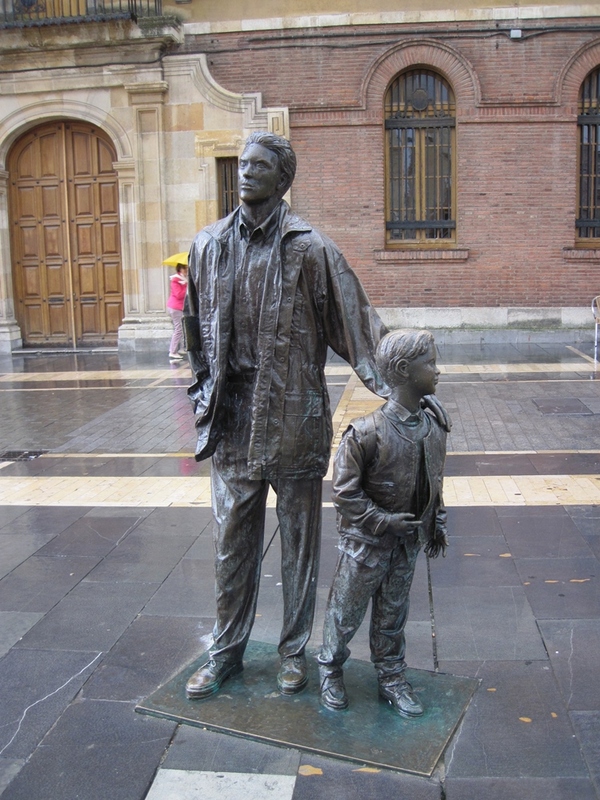 A statue that I remember quite well was of Woody Allen in Oviedo, Spain. He is quite famous there for the filming of Vicky Cristina Barcelona, and he brought attention to the beauty of the city. The statue sites on a pedestrian street, and he is supposed to be wearing glasses, but they are missing. My friend from Oviedo informed me that removing the glasses is something that happens when people go out at night and have too much to drink. — anyways, thanks for the post! Thanks for the visit and for sharing!